House Buy – $680,000 This quality family home offers comfort, privacy and generous living spaces in a sunny, peaceful location. With beautiful views from every room and great entertaining options, this Norwood home is sure to please. 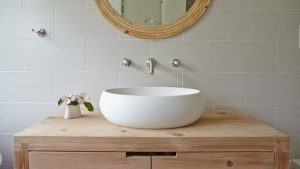 Mouldy grout and dated tiles are just some of the not-so-redeeming features of a tired bathroom, but regular renovations are an expensive and unsustainable option, so how do we fancy-up the bathroom without ripping out the tiles?